Ever heard of Merries diapers? This is Japan’s number 1 diaper brand for 10 consecutive years. And this is now in the Philippines. 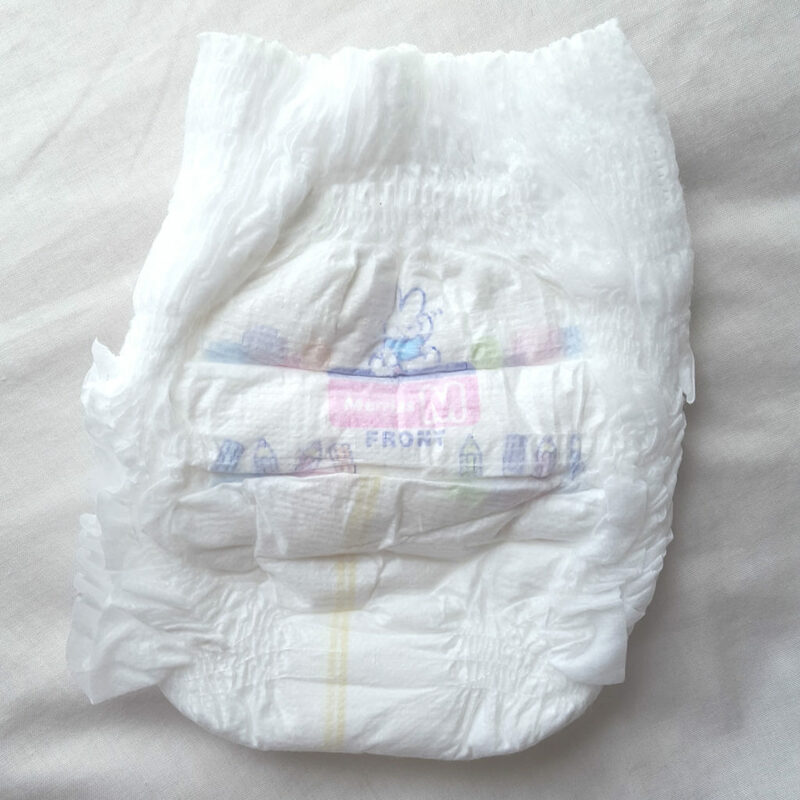 There are a lot of diaper brands in the market nowadays. And while we have a lot of options, sometimes, it makes it harder to find the one that will suit our baby’s needs. 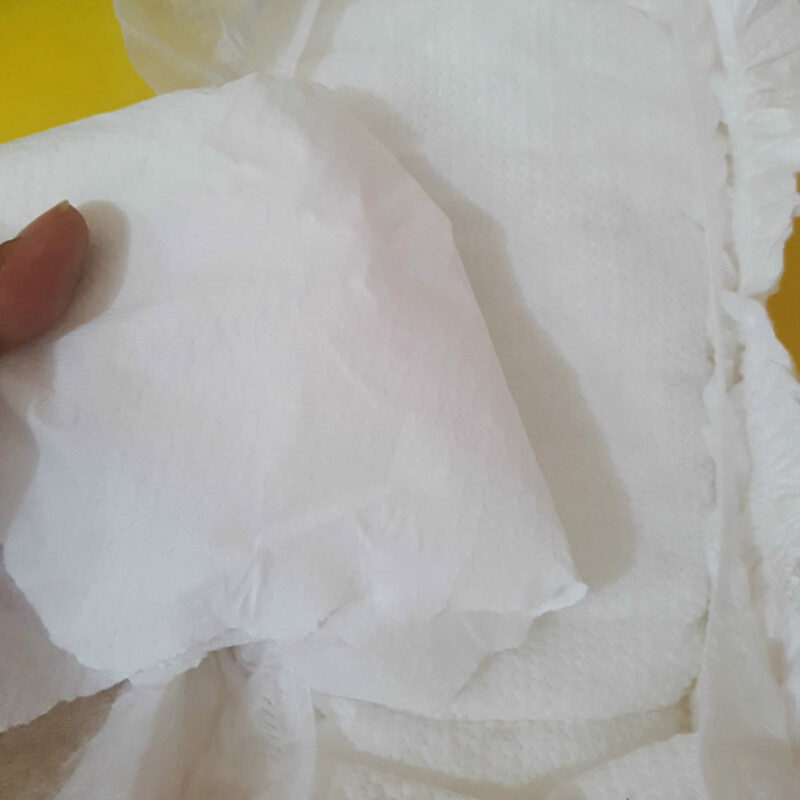 Using the wrong diaper for our baby may lead to leakages, discomfort, and other health concerns. 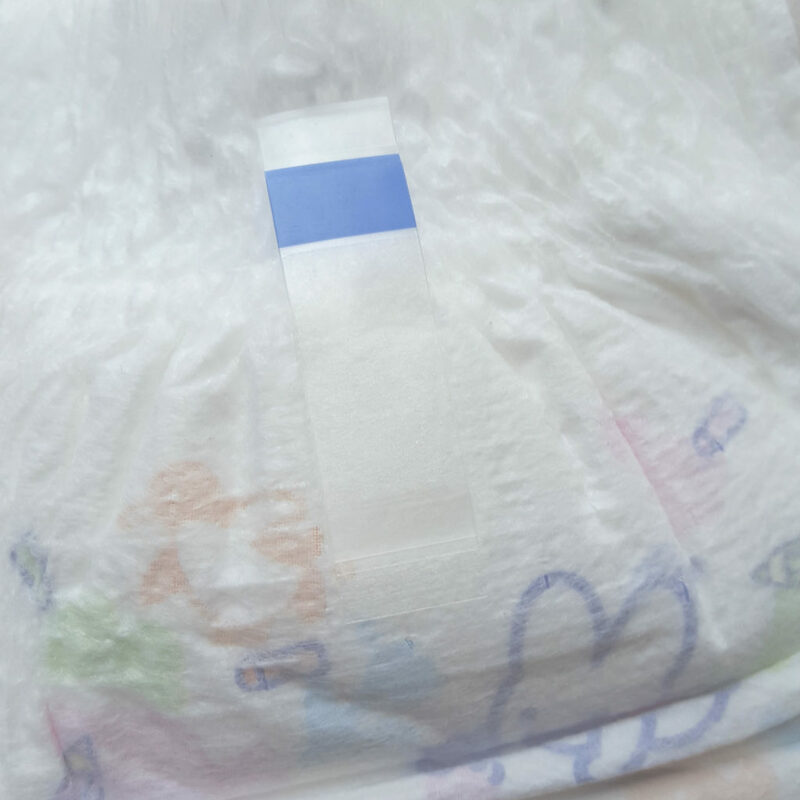 For the water test, I used the taped diaper. The bunny design is really cute! The material is also soft and none of the plastic type of material. I poured a full glass of water in it. I think that was too much for a small sized diaper, don’t you think? The water was quickly absorbed by the diaper, nonetheless. The diaper was heavy after that. But even with a full glass poured in, there were no leakages. Not even on the sides. Testing the surface, it was surprisingly dry. I had fun doing that! 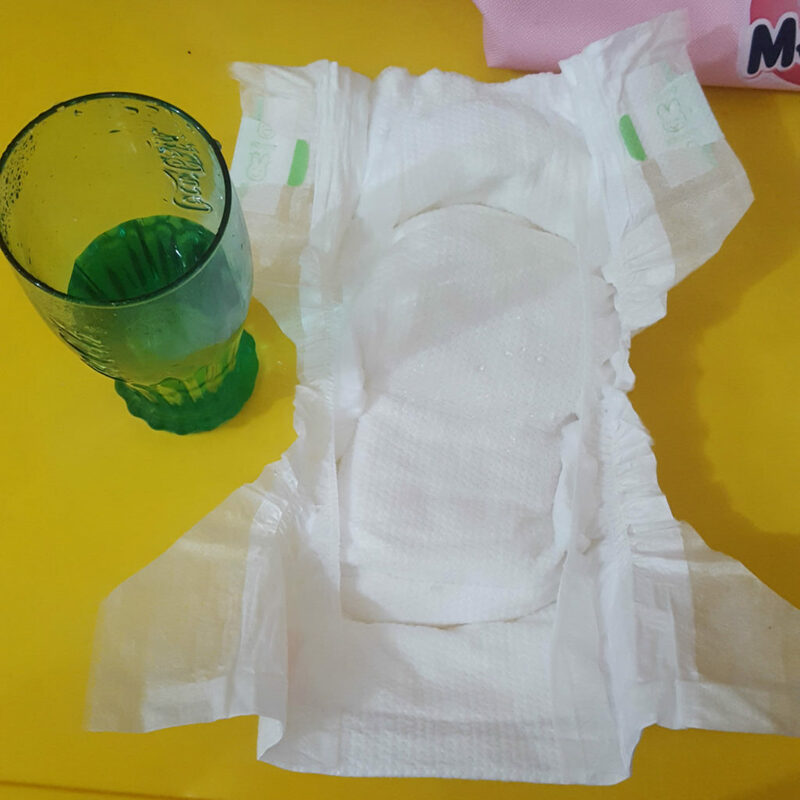 Merries diapers come in taped and pants types. It has the bunny design as well. 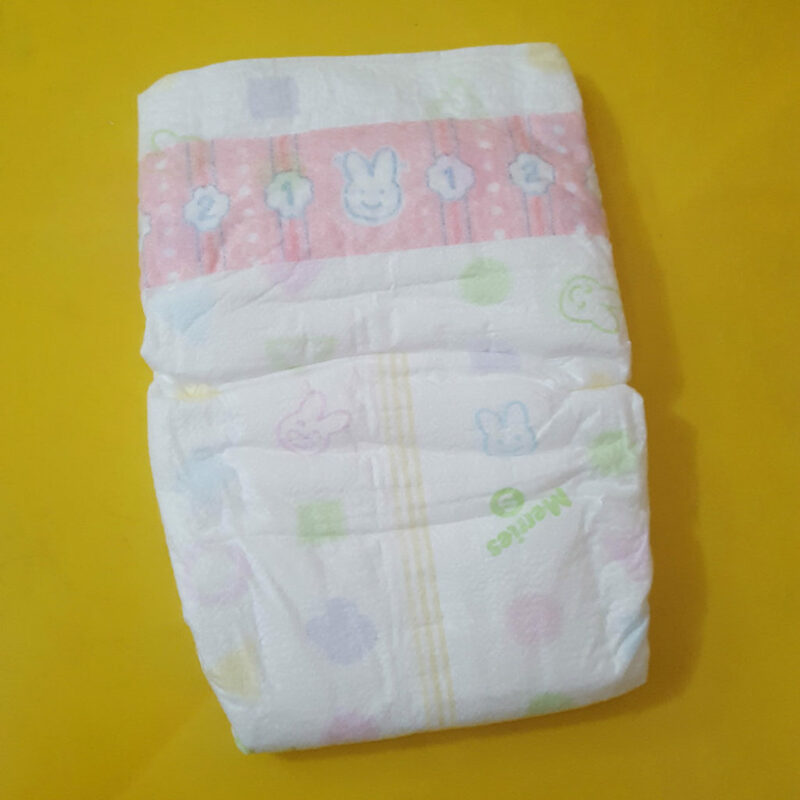 The design colors are really light, it makes the diaper look clean. The material for this is as soft as the taped type as well. I love the roll-up tape at the back. This makes it easier to dispose a soiled nappy. Merries Diapers are exclusively available in Rustan’s Makati, Rockwell, Shangrila, Ayala Cebu, Seda CDO and in Shopwise Festival Alabang, Sucat, Sta Rosa Laguna. 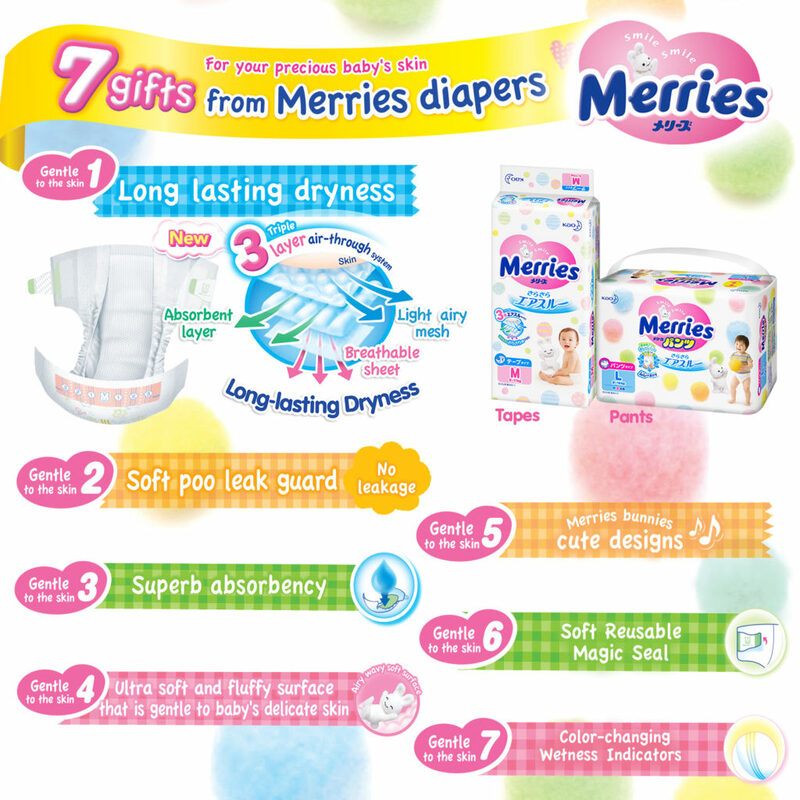 Merries diapers are available in Tape type for newborns to toddlers up to 14kg, and Pants type for toddlers and kids from 6 to 22 kg. Get a free small tape pack when you purchase 10 packs of Merries Diaper at any participating stores from now until November 8, 2017. Gusto ko yung may pa-water test tayo. Been hearing loads of good reviews about this diaper.